This beautiful hand forged wrought iron candelabra, over 100 years old, brings elegance to any indoor or garden candlelight experience. 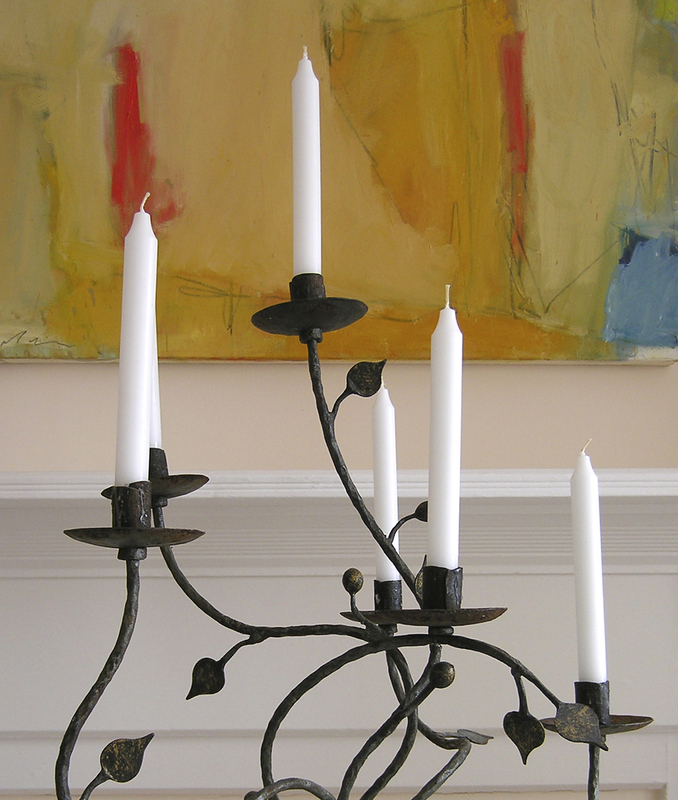 All collectors will appreciate the handcrafted detail of this hand forged wrought iron candle holder with a tripod-shaped base branching up to a curvilinear spray of vines, leaves and berries. This candelabra serves as a decorative holiday touch for the dinner table or fireplace mantel. Beautiful addition to any alfresco dining experience. Excellent condition, some oxidation and wax residue is visible. Normal wear and tear. Shown with six 7" tapered candles.